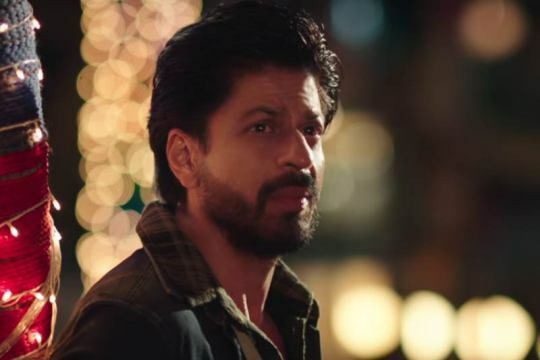 We recently met Shah Rukh Khan to talk about one of his most ambitious projects, FAN, that is to release this week. He answered all the questions about the film. Here are the excerpts of the conversation. Was it necessary to have a lookalike? I didn’t want it to be a double role but the script panned out this way. (In the film) the star is shown as having a great body of work. He is in the industry for 25 years. So, we couldn’t take a newcomer for the role of a star as we would have to explain everything to viewers and convince people that he is a star. Manish wanted to make the film this way. 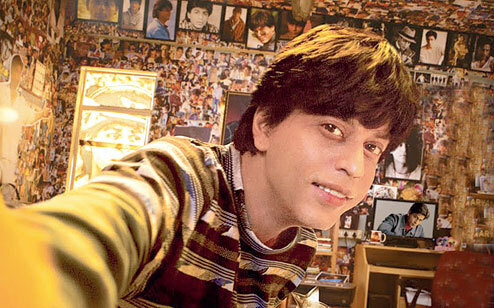 He didn’t want a lookalike and at the same time he wanted Gaurav (the fan) to look a lot like Aryan Khanna. 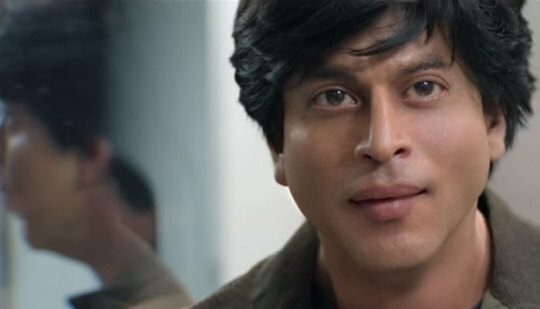 Now when I look at the look (of Gaurav), I feel that I am more handsome (smiles). How difficult was it to look young or old in the film? Prosthetics have not been used to make someone look young. Prosthetics have been used either for a vampire or Mrs. Doubtfire (smiles at the rhyme). This was the first time that such an experiment has been done (in FAN). As far as playing a younger boy goes, it was easy. If you look at my physique, I am more like a boy and less like an alpha male (smirks). (For the role) I had changed my walk a little. I can’ t play older roles. I played the role of an old man in Veer Zaara and it was difficult. I couldn’t say ‘beti’ to Rani Mukherji. In between takes, Rani Mukerji would tease me saying, “Shahrukh you can’t call me beti” and we would laugh a lot. Once, Yashji got so angry with us that he announced ‘pack-up’ in the middle of a shoot. Have you ever met such obsessive fans in real life? I have sweet fans (flashes a smile again). I just got to know that a girl has booked a place for me on the moon. There’s a fan who does a lot of sketches of me and keeps sending them to me. A lady from South Africa or Mautritius once called me (last year) in the middle of the night and told me that she wants to say something about my surgery the next day. She told me that she saw me bleeding to death on the surgery table and advised me not to get the surgery done. I got very scared. She really got me very scared. However, I went forward with the surgery. Do you feel that Fans should not cross the line (as it happens in the film)? You can’t tell a fan to do this or that. I just tell everybody not to throttle or harm anyone. During Darr, some people harmed themselves with a knife. I always tell them not to hurt themselves, especially girls. So, yes fans should not cross the line at all. 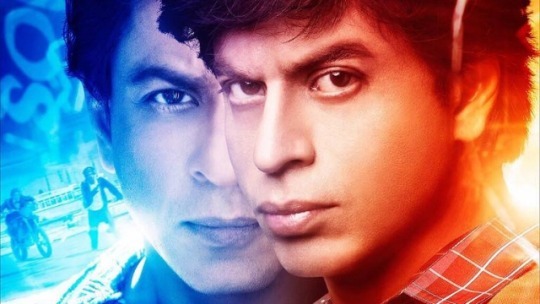 Did the thought of Aryan, your son, playing the role of Gaurav, cross your mind? Even for Gaurav’s role we wanted an experienced actor. Yes, there are a lot of actors who could have played that role. Someone lacking in experience could not have done it as there’s a lot of craft and technique involved in it. Secondly, he had to look like me (as per the script). I feel that double role is very difficult to play. Regarding Aryan, he is too inexperienced and does not know the craft as yet. Also, he’s too handsome to play me. Gaurav’s role was tougher. The prosthetics part was difficult as it took three to four hours to get the look of the character ready. I still remember that the first time we tried the look we hated it. I looked like a witch. The final look that you see on the screen is much better. We heard that you are doing Imtiaz Ali’s next? I am planing to do a film with him. We have spoken about the script just three times. He keeps asking when we will meet next to discuss the script in detail. All I know now is that there are no songs in this film. It was said that Yashji narrated the script to you? Yashji never narrated the film to me. He had narrated Darr to me. He would have been happy with the film but would have asked us to put a song in the film (smiles). 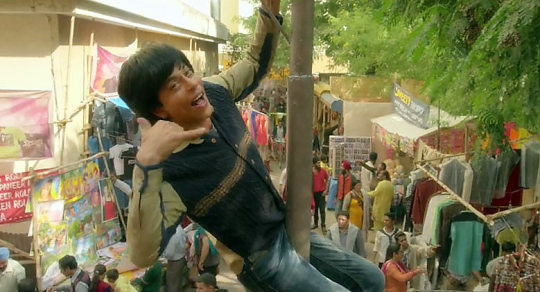 How much do you relate to Aryan Khanna (in FAN)? 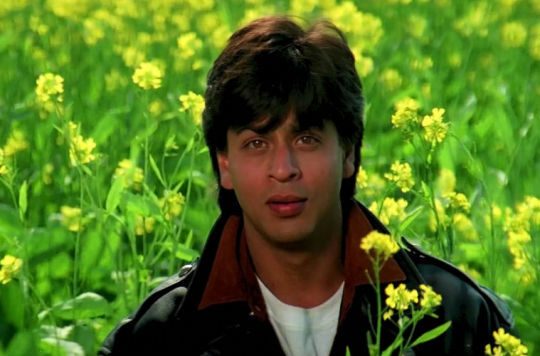 Aryan Khanna does not have a sense of humour. They have shown my home and movies but I am not me in the movie, he’s (the character of the star) different. There are no similarities between Aryan and Gaurav other than that they belong to Delhi, they come from middle class families and are decent looking. We have put that dialogue in the film for clarification. There were reports that the story of Fan belonged to someone else and he’s sued you? I am not aware of this. These things keep on happening to us. 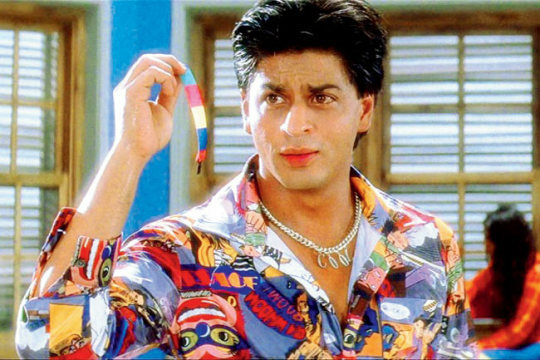 During Ra.One someone had said that the story was his. I called him home and showed him the film. He said that the story was his and he sued us. He said someone stole it from him. When I finally read his story, I realised that it was entirely different. So, I would ask you not to believe in these reports. Bollywood beauties and their food love!